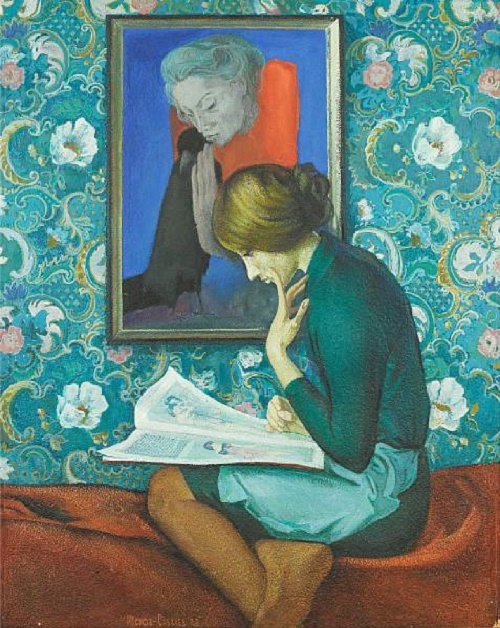 Soviet artist Ivan Ivanov-Sakach – Leningrad school painter, who had a bright and recognizable style of painting characteristic of Soviet Art of 1970s. 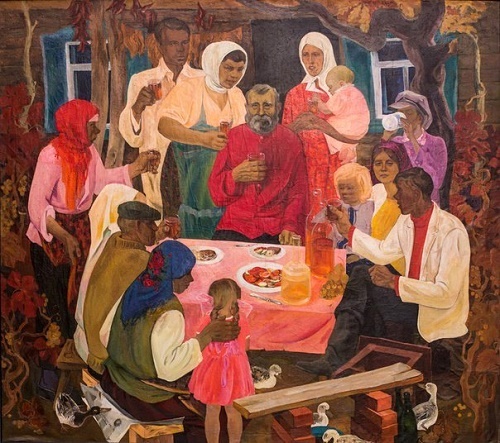 Ivan was born August 2, 1926 in Stavropol province, the USSR. In early childhood, left orphan, he was adopted by a family friend, I.K. Ivanov, whom the artist considered his father and whose name in appreciation was later added to the native. In 1944 he was drafted into the army and took part in the war against Japan and the liberation of Korea. He fought in the Far Eastern Front, Sergeant, radio telegraphist. 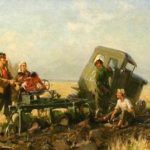 Ivan was awarded medals “For Victory over Germany”, “For Victory over Japan”, “For Military Merit”, “For the liberation of Korea.” In the 1950 – 1955 Ivan studied at the Art School in Krasnodar. 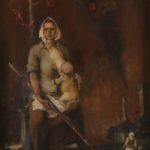 In 1956, after finishing the art school, he entered the Repin Institute of Painting, Sculpture and Architecture of Academy of Arts of the USSR. 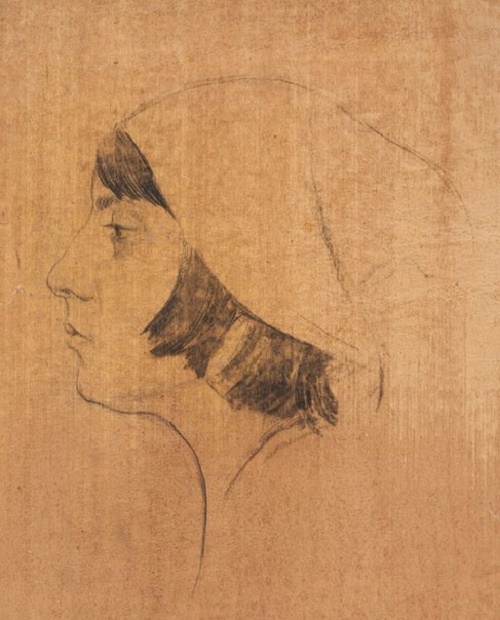 In the institute, Ivan first studied in the theatrical décor department of painting faculty, from the second year – easel painting, and then in the department of monumental painting. 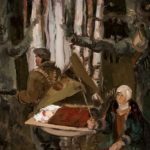 He graduated from the Institute (workshop of A.A. Mylnikov) with thesis work – panels “Loyalty” for the Palace of Soviets in the city of Chita. 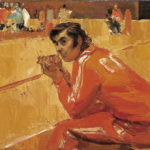 Upon successful completion of a monumental and easel painting, Ivan worked a lot on the topic of sports. 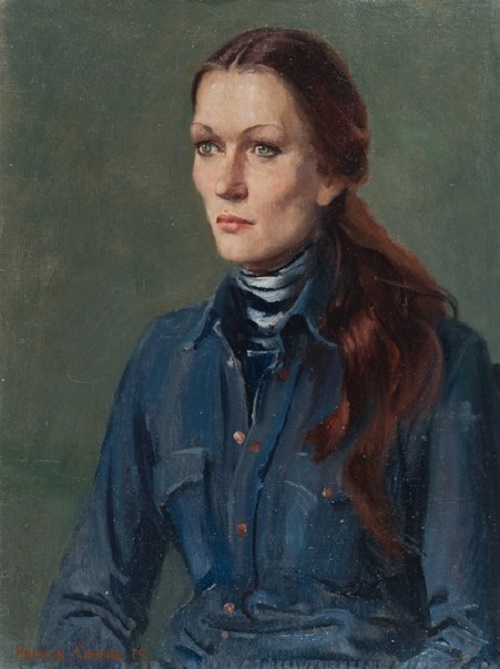 In particular, he created paintings for the House of Culture of the Horse plant “Sunrise”, picture “Race”, a portrait of the famous master of equestrian sport N. Nasibov. In 1970-1980 performed a series of portraits of volleyball players, among them portraits of Olympic champion Radzevich N. (1983), N. Gorlovsky (1975), coach of the volleyball team “Uralochka” and the national team N. Karpol. 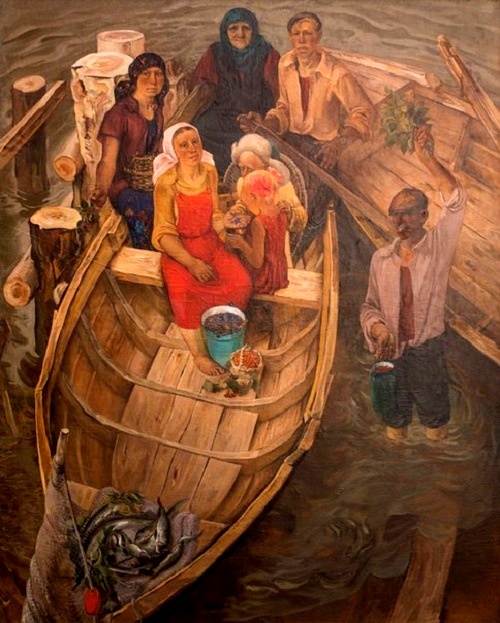 Since 1955, Ivan Ivanov-Sakach – constant participant of art exhibitions. In 1966-1972 he taught painting and composition at the art-graphic faculty of Leningrad State Pedagogical Institute of Herzen. A member of the Leningrad Union of Artists (1970). The paintings, “Happy Birthday, Filipp Danilovich!”, and “Summer on the Ob” (1975) reflect the folksy worldview of the artist. His characters are not fighters, but they are not overwhelmed and discouraged. 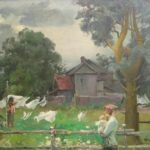 The style of his paintings and bright color resemble folk arts and crafts. Soviet artist Ivan Ivanov-Sakach died on March 2, 1985 in Leningrad. 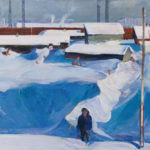 His works are in the State Art Museum of Altai Territory, in many private collections in Moscow.